There is one country in the world famous for the Giant Panda and that is…. the People’s Republic of China! Do you know the Panda? It is a big bear, but not brown. It is black and white. Tomi and Mimi love Pandas, but have only seen them in books. Now that they are visiting the People’s Republic of China, they are excited to see the Pandas. The People’s Republic of China is a very big country in Asia. China is known for being the home country of the Giant Pandas. Among the most famous places to see the Pandas is the Wolong National Nature Reserve near Chengdu. 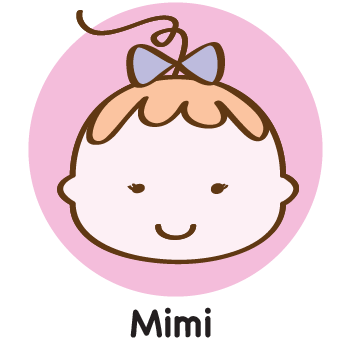 Tomi and Mimi traveled to Beijing, the capital of The People’s Republic of China. 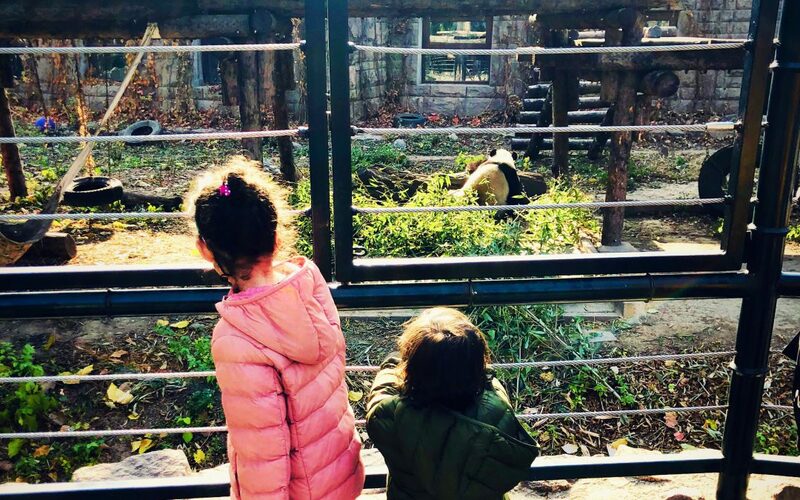 The best place to see the Giant Pandas there is in the Panda Pavilion in the Beijing Zoo. The Beijing Zoo is very large with lots and lots of interesting and exotic animals, parks, ponds, shops and restaurants. 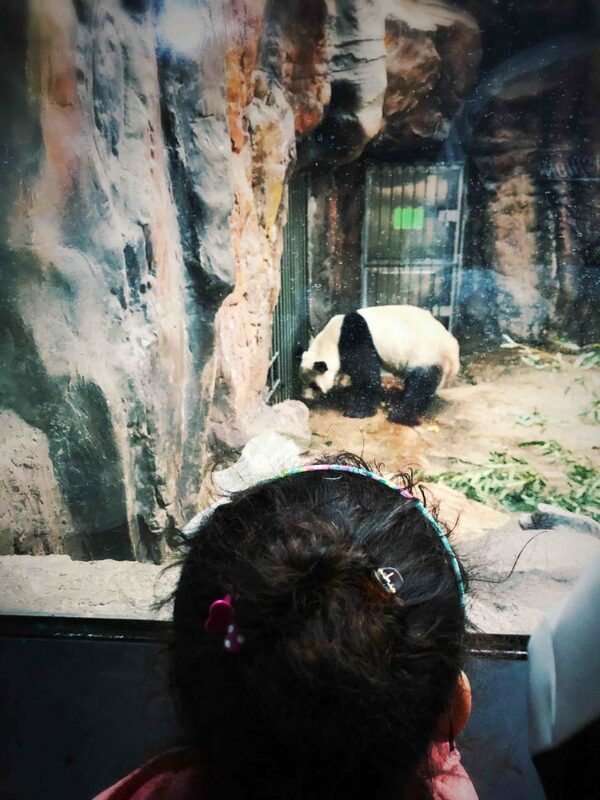 Tomi and Mimi took the East Entrance of the Zoo, so they were right where the Giant Pandas have their home. Did you know that Pandas only eat leaves, stalks and shoots of bamboo (and maybe only sometimes have a treat of something else)? Because it is hard to fill the tummy of such a big bear with only veggies, the Giant Panda does not hibernate. Brown bears, Grizzly bears and the American Black Bear fill their bellies and go into a long sleep during the winter when it is cold and there is less food. Pandas on the other hand have to search for food every day, even when its freezing or snowing. Tomi and Mimi followed the big signs to the Giant Panda Pavilion and ran towards their favorite animals. The first Panda they saw was in the Panda House, inside. There were many more outside, sunbathing, sleeping, lazying around or eating. It was great to see and a wonderful experience for our little Tomi and Mimi. Do you like Pandas too? Why do you like them? Maybe you can draw a panda bear eating some bamboo or craft one from black and white paper. 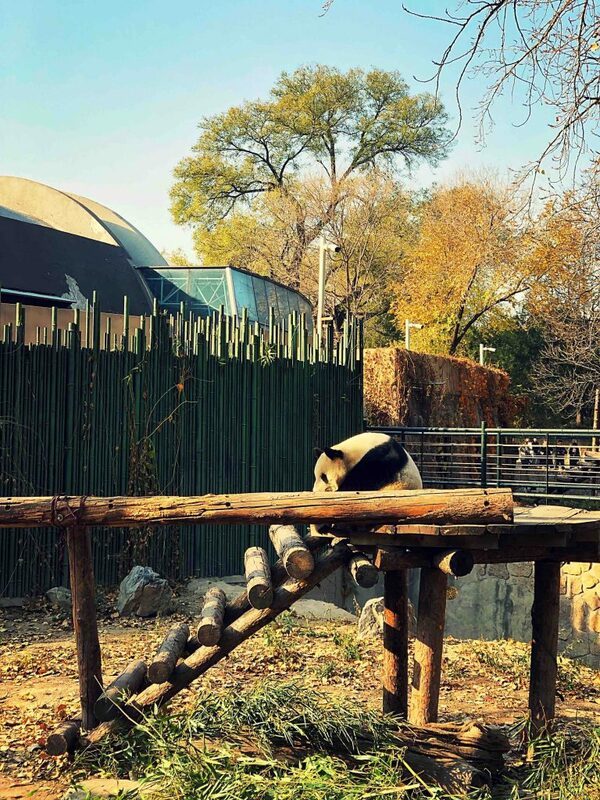 Beijing Zoo has 4 entrances; the Northwest Gate, the Southwest Gate, the North Gate and the Gate at the East Area. Take the Gate at the East Area for quick access to the Giant Panda Pavilion. The address is 137 Xizhimen Outer St, DongWuYuan, Xicheng Qu, Beijing Shi, China, 100037.